With the help of your Power Radionics™ equipment and radionics software, you can set up radionics operations to develop and boost success strategies as well as effective trend management methods for profession, business success, wealth, leadership, people skills, and political success. This information naturally is exclusively presented for users or our power radionics™ equipment, who intend to reach the top! For the person, who is serious about success and using radionics to achieve it, it is time by now to get the facts straight: Poverty is in the main a socio-economic problem. In fact, it is even more a social problem than gross overweight! Yes! You can get more information about getting great results in profession with the help of Radionics! Feel free to video call us and we are going to answer your questions and we can show you live many more ways of how you can use successfully your of Chi Generator® Boosted Radionics Machines, software and accessories !!! Video-talking live with one of our associates is just a click away! 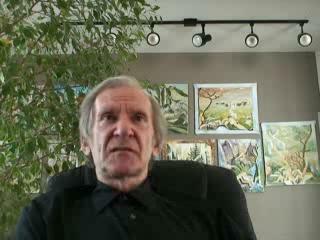 Click Here to Video-call! If you want to achieve riches, the first and most important thing to do is to eliminate the impact of socio-economic conditioning and to acquire the skills to handle wealth at the same time. Naturally you can use Radionics to achieve this first goal, or this first leg of your overall strategy. No, I certainly am not talking about changing the system. If the system was fair to all as some idealists are preaching it ought to be (typically for others, not for themselves! ), there would be no excessive wealth at all, and nothing . If you want excessive wealth, be aware of the functions of the socio-economic system, which is one of the survival mechanisms of the human species, into which you were born and in which you live and which, in fact does allow individuals to have that unfair edge of excessive wealth. Then you have to use these functions so that you can get where you want to be! In other words: this is a system that certainly can work in your favor, provided that you learn how to use it! Feeling guilty about that? Then you are still stuck inside and victimized by the "equality-trap" that helps so nicely all of those folks who are "more equal" than you and who thoroughly love their additional "equality"! Let's face it: Inequality is part of the human species, no matter what idealists or equality-mongers (that are backed by vested interests) are trying to teach you - and so are the resulting socio-economic structures in which we live! You can either live up to this fact and use the existing situation and your innate human characteristics to get ahead, or you can decide to remain the runt of the pack for the rest of your life. The choice is yours, of course! Fact is, that by now you can have the equipment that can help you in getting that "unfair advantage" (words, of course, which are used by people whose intent is to keep you in your subordinate place) when you set up this exciting course to reach your maximum potential of wealth, power, and/or political influence - your own course of action. Use it! At the same time, be aware that a human being does not end with the surface of the skin. As human beings, we are "us and our environment!" When we poison our environment with arrogance, bad action, abuse of power, etc, we ultimately poison ourselves! The runts of the pack are part of your environments, necessary contributors to your success! Respect them, especially when you reach the top! This makes the difference between a good leader and a bad leader! Before you can deal with such questions, you need to get to the place where dealing with such questions makes sense. For this, you need to de-program yourself and learn the skills that you need to get to the top. Use the power radionics technology™, of which you learn here, and you can do this much faster than with most other methods. Once such skills are in place, you can open opportunities for yourself, again by using the power radionics™ technology, and then it makes sense to learn additional skills step by step all the way to the top. Naturally, the development of successful strategies for business success, wealth, and political power, is more complex than was developing a strategy for weight control. Use your power radionics™ setup to maximize this task, and then use your devices to open opportunity and to help you get to the top. Below you find a list of points to consider. Use what you consider as appropriate for your situation! Using radionics, establish what skills you need for these goals, what skills are demanded; what changes of attitude you need to be successful. Follow through with action and boost it with orgone radionics. Consider alternatives with similar basic demands and rewards, if availability of your goal is low. Again, setting radionics up to acquire the appropriate success strategies is a big advantage! "Tremendous financial success from an unexpected source ..." consider the use of "wild cards" such as in this preceding statement, their advantages and disadvantages. Put yourself into a general attitude so that you enjoy that which you are doing. Ignoring the skill factor, hoping that there is "magic" that puts you into a wealth-and power position without you needing to learn anything or contributing anything to this process. 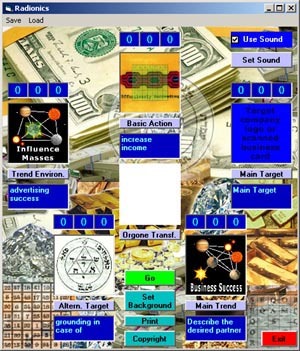 Using power radionics™, boost your skills to analyze several situations and select the best ones for your success. For advanced situations in business, profession and politics, the manifestation programs™ are a significant help! Therefore it is to your advantage that you work with one heavy duty device such as the RAD 2400 HD or more powerful devices, depending on the size of your business! Click Here to see Broadcasts (TVOPK.com) about the use of Power Radionics™ for Profession and Jobs!